A funny thing happened as I walked into the New Year. We spent the day visiting events held by business people from Downtown Petoskey, and out of the blue, we began a discussion of weddings. Yes weddings. As the temperatures hovered around zero with wind chills well below that mark, the waves crashing on shore and hurdling their spray well above the break-wall, weddings seemed the farthest thing from my mind. I thought for a moment and remembered a very large wedding party over the weekend in the Chandler’s Wine Cellar. More thought, and I realize William isn’t giving up any secrets. Downtown Petoskey has derived huge benefits from the wedding boom in downtown and surrounding venues. The Perry hosts weddings continually throughout the year with the most popular months being June, July, and August according to Debbie at Stafford’s Perry Hotel. When one adds the business traffic to local restaurants, dessert shops, clothing stores and tuxedo rentals, one can imagine the influx of several hundred people over a two-day period (or thousands when there are multiple weddings). Add gifts bought locally for people who didn’t wish to travel with expensive packages, and even the gift shops prosper. January is a great time to make reservations and plan for the essentials, now that the holiday season has passed. The phones ring less, the calendars look fairly clean, and people are eagerly looking forward to sun and warmth. 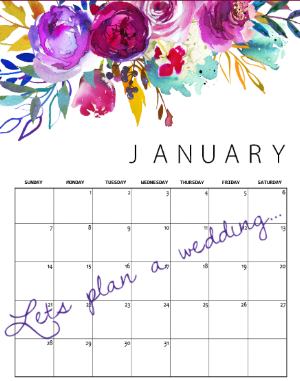 If you are interested in wedding planning, there are a multitude of places to begin. Besides the obvious, restaurants, hotels, and halls, one might begin with the Downtown Petoskey website then head over to the folks at the Petoskey Chamber of Commerce. The wonderful staff of the Chamber can assist in directing you to a host of necessities including the fun things to do while you’re here. 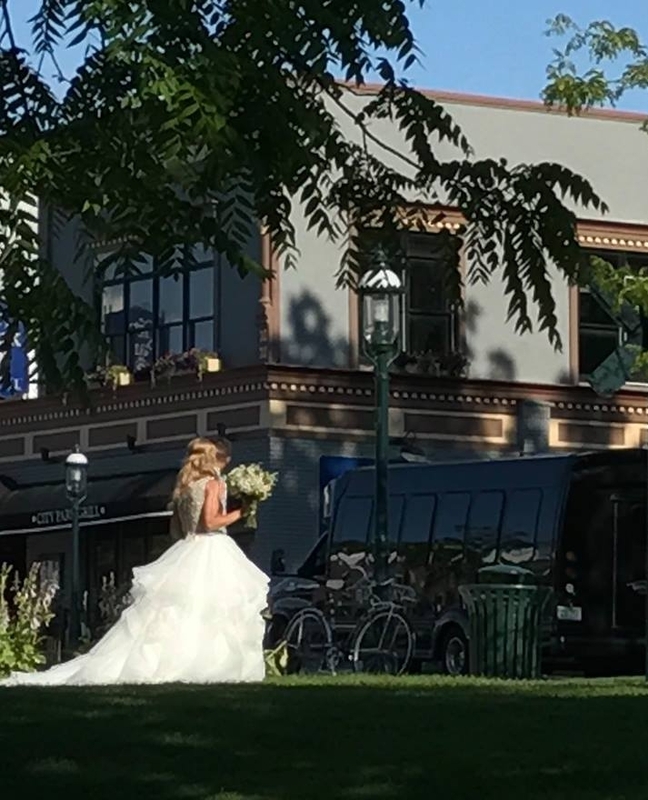 Another extraordinary piece to the wedding puzzle is exemplified in working both with Downtown Petoskey and the Chamber: Everyone cooperates for the good of the whole. One venue will suggest other venues and one shop will suggest another shop, and so on. By the time you’re finished with your plan, you can count on everyone willing to pitch-in. So, enjoy the winter wonderland that is Downtown Petoskey, and if you’re looking for a beautiful place for a wedding, look no further. You may have to look up and around snow banks, but you’re already here…. Right?